This hotel is a quick 3-minute walk from the Shichijo Station on Keihan line, back on a quiet street making it feel quaint. Hotel staff was great during check in and chatting before we arrived. The amenities in the room alone are well worth it to stay in. There is a washing machine (no drying function), fridge, microwave, stove, full bathroom with a tub. Nice, space in the rooms. Nice updated hotel, great security for guests. The staff was friendly and available, location was good. The washer in the room was convenient although it took 11 hours to do wash and dry a single smallish load. Very friendly staff, good location, very big comfortable room. Private washing machine & cooking stove included. Excellent staff. Convenient washer and fridge. Nice bathroom & shower. Excellent room temperature control. The hotel is nestled in a cozy street of a residential area. The front desk staff were extremely friendly. We could buy bus and subway day passes from them. The room was comfortable and clean and contained basic amenities. There was a kitchen and a washing machine in our room. We paid at the front desk with cash. The hotel is easily reachable (only a couple of stops) from the train station with one of a handful of buses that traverse that route. Washing machine in our unit came in handy as we were half way through our trip. Lock in a great price for Rinn Shichijo Ohashi Bridge – rated 9.1 by recent guests! 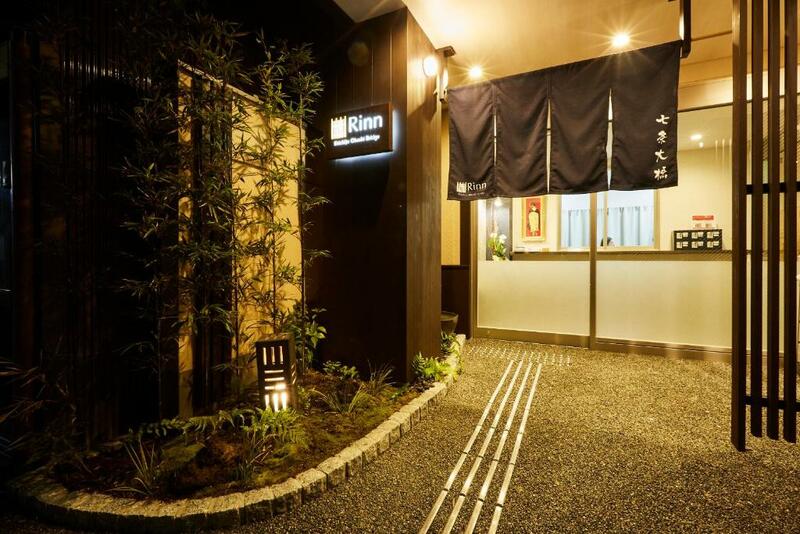 Rinn Shichijo Ohashi Bridge This rating is a reflection of how the property compares to the industry standard when it comes to price, facilities and services available. It's based on a self-evaluation by the property. Use this rating to help choose your stay! Opening in 2017, Rinn Shichijo Ohashi Bridge is set in the Higashiyama Ward district in Kyoto, 0.9 mi from Kiyomizu-dera Temple. Every room is fitted with a flat-screen TV. You will find a kettle in the room. Every room has a private bathroom fitted with a bath. For your comfort, you will find slippers and free toiletries. Tofuku-ji Temple is 1.2 mi from Rinn Shichijo Ohashi Bridge, while Samurai Kembu Kyoto is 1.4 mi from the property. The nearest airport is Osaka Itami Airport, 24 mi from the property. 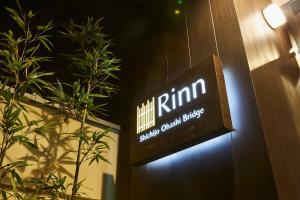 When would you like to stay at Rinn Shichijo Ohashi Bridge? This double room has a flat-screen TV, kitchenware and microwave. This twin room features a microwave, air conditioning and kitchenware. This twin room has a washing machine, microwave and electric kettle. This twin/double room has a electric kettle, air conditioning and washing machine. 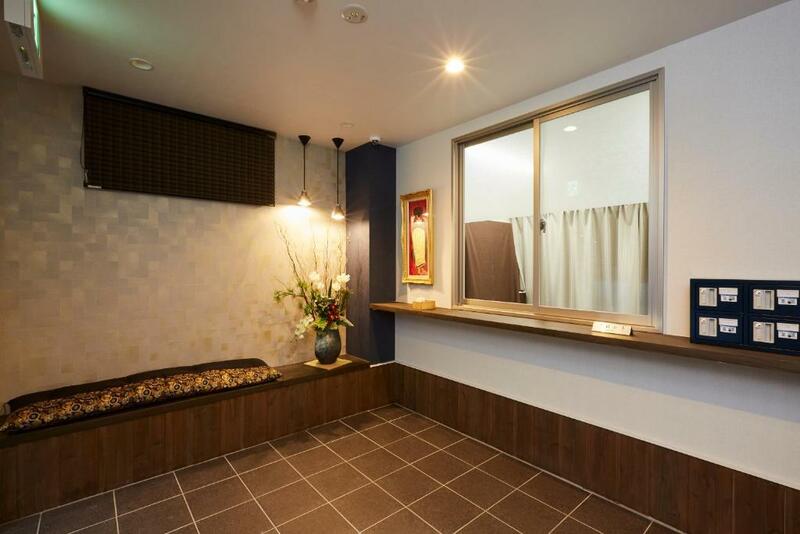 Just-opened guest house just 3 mins away from Shijchijo station (Keihan line). 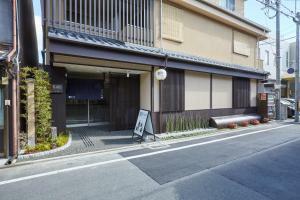 Very convenient access to main tourist attractions in Kyoto. 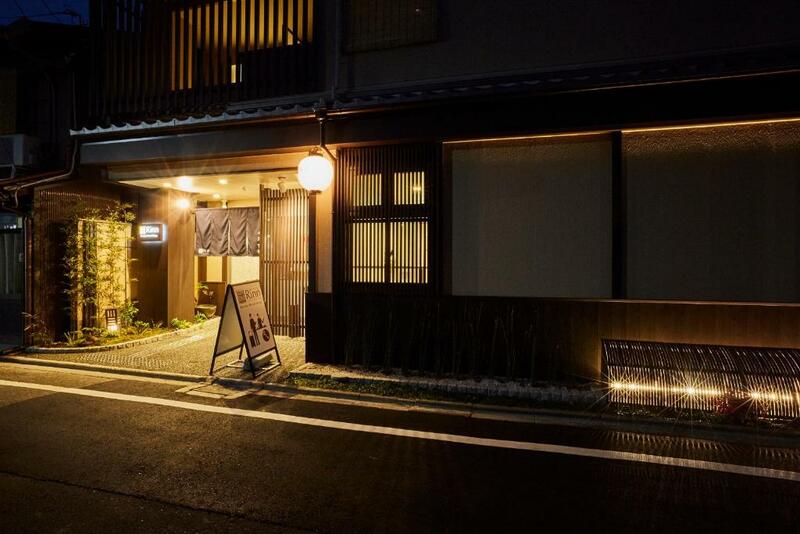 Furthermore, here has furnished and cozy rooms so you may feel like living in Kyoto. Friendly staffs are welcoming you with a huge smile! House Rules Rinn Shichijo Ohashi Bridge takes special requests – add in the next step! Rinn Shichijo Ohashi Bridge accepts these cards and reserves the right to temporarily hold an amount prior to arrival. The beds were very hard. Much appreciated that the staff tried to help by putting another pad underneath the sheet for us, but still was pretty hard. Even whith everything paid through Booking I was asked for more money when I arrived. Way too many emails exchanged before arrived which looked a bit amateur from the hotel. Good location close to local subway and 15 minute walk to jr station. Helpful friendly staff. Very good boxed breakfast. very clean rooms. On a quiet residential street. Would definitely recommend this hotel. A cupoard would be nice to be able to unpack and a set of plates could be provided to eat take away comfortably. Great little hotel close to the metro, big and comfy room. The drip coffee is excellent and the towels are exfra fluffy! Noises from other rooms and maybe construction in the hotel or adjacent, absolutely zero storage for any clothes or bags in the room so we lived of suitcases on the table. Seems weird to have a kitchen and laundry like it's for long stays but no place to put anything. Beds were some of the hardest most uncomfortable I've ever encountered although I realize that's subject to preference. No soundproofing whatsoever: you can hear people in neighbouring rooms snoring and using the bathroom. We had to use earplugs every night. The mattress was extremely hard with the springs piercing into your body. When asked at the reception if something can be done about it the hotel staff provided a mattress cover. It helped very little unfortunately. The hotel is very close to a subway station and easy to find. The room was equipped with a mini kitchen; however, if you need any plates or cutlery you need to ask for it at the reception: our kitchen shelves were empty apart from 2 glasses and 2 mugs. A bit far from main attractions but only a short subway ride. Great sized room/bed with all the facilities you need. Close to train station and great ramen shop. Breakfast is bad, the poor bento includes some fried chicken, a little glass with scrambled eggs and rice. We renounce the breakfast after the first day. Since refound is not possible I suggest you to book without breakfast. The location is comfortable and quiet, but isolated if you want to enjoy some night life. The mattress was extremely firm though I do understand that to be a personal choice. Optional extra pillows would be nice. Good location in a private quiet neighbourhood. Mattress & pillows were a little too firm for my liking. Not very close to kyoto downtown and the busy district of kyoto. You would have to catch trains to get to the busy areas. I personally would have preferred closer because I had been catching trains for the previous 10 days. If you want quiet, then this is a good place. A bit pricey but it’s good value. Clean, spacious for Japan, really close to a train station. Dryer did not dry very well, breakfast bit boring.